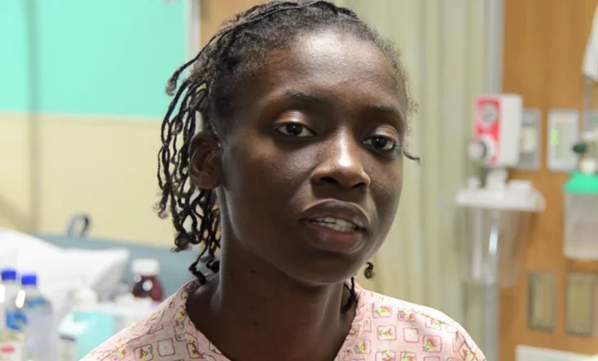 CAYMAN ISLANDS (October 14, 2014) – A young woman from Jamaica returned home on Monday after being the latest beneficiary of life-enhancing surgery and care provided free of charge by a team of cardiac surgeons at Health City Cayman Islands. “The young woman was suffering, and none of the clinics on the US mainland contacted by her doctor was able to perform the procedure at no cost to the patient. Something needed to be done, so we stepped in,” reported Shomari Scott, marketing director for the ultra-modern Cayman facility. Lesha Matthews, a 25-year-old from Kingston, Jamaica, and mother of a two-year-old, was diagnosed with a heart condition as a child. For the last six years her condition worsened and rendered her capable of only routine activities. Her cardiologist then diagnosed her with a leaking heart valve that needed to be corrected surgically. However, because of financial constraints, Ms. Matthews was unable to get the urgently needed operation. But all that changed when her serious condition caught the eye of Dr. Binoy Chattuparambil, Senior Consultant, Cardiovascular and Thoracic Surgery, at Health City Cayman Islands, a few months ago. A delighted Dr. Foster in Jamaica moved quickly to arrange transportation and Cayman Airways stepped in to donate her airfare. “I saw her off at the airport. As she sat in a wheelchair, she seemed apprehensive about going alone, but happy that a bright future lay ahead,” recalled the physician. The procedure took three and half hours: “She was sitting on a chair the same evening sipping juice,” he said. “She will be on a few medications for three months and after that she will be free from all medications. The prognosis for a healthy, normal life is a very good one,” Dr. Binoy added. Health City Cayman Islands, the vision of heart surgeon and humanitarian Dr. Devi Shetty, is supported by two major healthcare organizations, Narayana Health and the U.S.-based Ascension, and the Cayman Islands government. The facility provides compassionate, high-quality, affordable healthcare services for all in a world-class, comfortable, patient-centered environment. Offering healthcare to international, regional and local patients, Health City Cayman Islands provides services in adult and pediatric cardiology, cardiac surgery, medical oncology, orthopedics, pediatric endorinology, and pulmonology.